Currently, the term ‘Celtic’, and its variations, is alternatively loved or loathed by archaeologists, historians, the general public and the media. Why is this? What has happened to the way the word is defined that causes disparity? How did this word mean previously rational archaeologists such as John Collis, Simon James and the Megaws spent years arguing about the use of ‘Celtic’ as an archaeological term? Is Ferguson correct to state that archaeologists are, by definition, just sheep? Reviewing various writings from antiquarians through to modern archaeologists it may be possible to discover when and where it all went wrong. In choosing the articles or books I took the simplest route and utilised those with ‘Kelt’, ‘Celt’ or ‘Celtic’ in the title or subject matter and a rough spread of examples from over the past century or so. Various Authors, latest date 1892. KAS, Celtic, Roman and Saxon Kent. Archaeologia Cantiana, various volumes. This is a very eclectic collection of articles taken from the Archaeologia Cantiana, presumably compiled by someone from the KAS for some unknown reason; it is the only book of its kind in the University of Kent Library and, seemingly, anywhere else. The Archaeologia Cantiana, initially only available to members of the Kent Archaeological Society and academic institutions, is now accessible on-line. This volume contains numerous papers by a variety of writers including W.M. Flinders Petrie and The Rev. Canon R.C. Jenkins, covering the Palaeolithic through to the Saxon period, all written during the last quarter of the 19th century and therefore containing many archaic words; interment, obsequies, and so forth, as well as Latin phrases without translation. There are three relevant articles. Roach Smith (1874) declares that the ‘Celts’ were: ‘half civilized’ and were: ‘without cultivation of the higher reasoning faculties and the comfort and refinements of life’ (pg 8). He comes to the latter conclusion as a result of comparing Greek and Roman works of art with: ‘their great intellectual excellence’ (pg 13) to Eastern and ‘Celtic’ items with their: ‘mental inferiority’ (pg 13), contrary to later writers who saw ‘Celtic’ art as so superior that they believed, conversely, that the native people could not have made it, the explanation being that only invaders could have brought it to Britain; the ‘Celts’ The ‘Celts’ he referred to were, seemingly, a combination of Britons and Northern Gauls from around the time of the Roman invasion. Woodruff (1874) was, in this writers opinion, an archaeologist before his time. For example; in this article he points out that many possible sites, including Neolithic, Bronze and Iron Age barrows, have vanished due, mainly, to farming activities and consequently those remaining should be protected, most antiquarians would not be so overly concerned. Woodruff also gives detailed information about various sites he has either heard about or visited himself including dimensions, orientations, soil types and so forth. He also notes that: ‘No one will assume that, because identical customs prevailed in different parts of the land, therefore those customs were contemporaneous’ (pg 16) a relatively modern theory. Furthermore, some ostensibly antiquated ideas, for example: ‘… the late Mr Kemble was of the opinion that the Celts made no settlements in East Kent’ (pg 3) which he then proceeds to discredit. Woodruff used ‘Celtic’ to cover the Neolithic through to the Pre-Roman Iron Age with reference to the period and the people. Paynes’ article (1879), refers to ‘Celtic’ remains but it was actually about the finding of a 10ft diameter, 3 – 4ft deep, bowl containing numerous flints which he admits: ‘belong to the Neolithic or polished stone age’ (pg 6) and includes a number of ‘celts’ which are a type of axehead. It is, however, a clearly written paper. Apparently Payne saw ‘Celtic’ as a period of time and not a culture attributing the era to a much earlier epoch (like Woodruff) than Roach Smith. This is a very phenomenological book and quite comprehensive, covering such topics as death rites through to loaves of bread. The main body is written in the form of a novel rather than a site report. The forward is intriguing; Benfield states that the information gleaned from the excavation of Maiden Castle: ‘certainly wipes out the facile idea that Rome discovered our fathers to be painted savages without civilization of any kind’ (pg 7) referring, presumably, to Caesars infamous comments. Interestingly, whilst talking about post 410 AD, he suggests the ‘Celts’: ‘…did not have much real guidance or creative thought of its [sic] own’ and the ‘Celtic’ people were opened to be conquered again by the Saxons (pg 68 – 69). Accordingly Benfield believes that they were the only native population (in Britain and the near continent) when the Roman invasion occurred, and also when they left – at which time he also suggests that ALL the Romans left leaving only the ‘original’ inhabitants (pg 70). A small book, lavishly illustrated and covering the development of the ‘Celtic’ civilization in Europe from its apparent beginnings at Hallstatt, with ‘Celts’ being the most prominent item on the cover. Of the two sections, the first looks at warriors and princes of the ‘all-conquering Celts’, their relationship with the Romans, religion and the ‘Celts’ today. Each chapter uses multiple images of finds and sites utilizing photographs, paintings and illustrations to explain/interpret their history in Europe, however there are only two maps, one of which is ineffectual as an aide to information. Its structure and contents seems designed for the general public, especially in its composition and presentation. The second section is completely different consisting of extracts from articles both modern, antiquarian, and contemporary texts, with short discussions, as well as drawings and illustrations seemingly aimed at academia. Elvère uses the ‘C’ word to mean a race that still exists, a period of time and a culture, especially its art. An article written by Hill that, as he says in the conspectus, is an introduction to the recent (in 1995) literature as well as evidence from multiple excavations, surveys, analytical techniques and new interpretations, which suggest that our current ideas need updating (pg 47). The paper is divided into three parts; The Development of Iron Age Studies, The Nature of the British PRIA and Change Throughout the PRIA. There are a number of illustrations and maps. He uses ‘Celtic’ nine times, with the word in “” seven times, ostensibly almost reluctant to utilise it. For example: ‘Notions about these “Celtic” peoples formed during the Romantic and Nationalist eras still play a strong role in shaping both popular and academic perceptions of the Iron Age’ (pg 51). Hill, even in 1995, recognises that a change in perception of the ‘Celtic’ question was occurring when he points out that Iron Age/’Celtic’ art, especially metalwork, is seen as a separate study area from; ‘the studies of “Celtic” Religion/”Myth”, [and] are viewed by some as somewhat divorced from archaeological studies of settlement and society’ (pg 53), so not actually a complete move away from the use of the ‘C’ word but possibly a step in the right direction. The article is clearly written with plenty of examples and information from around Britain and Ireland, with a bibliography running to a healthy eight pages. This is a flashy, commercial, easily accessible publication utilizing the ‘Celts’ tag instead of the less commercial ‘Iron Age’ ostensibly to appeal to the general public; the dust cover is of shiny paper with multiple photographs of artefacts, and the word ‘Celts’ as the most prominent feature. However, it is written, at least, by a genuine archaeologist who, at the time it was written, was a Senior Lecturer at the University of Leicester. James has since gone on the attack regarding the veracity of ‘Celts’ in archaeology in his 1999 book; The Atlantic Celts: Ancient People or Modern Invention? (see below) so it is, therefore, astounding that he allowed this book to be reprinted in 2002 without him updating it to include his new theories. In this issue, though, James uses quotes and ideas from many ancient texts as well as contemporary ones; from Strabo and Catullus for example, through Bede and Geoffrey of Monmouth to Cunliffe and the Megaws, to talk about the European ‘Celts’. He asserts, on the first page (7), that ‘The Celts are among the greatest peoples of European history, and indeed prehistory’ however he does then state, albeit in brackets, that it is nonsense to use ‘Celtic’ to cover the Neolithic through to the Roman Era (and beyond), as it is the languages that connects areas and peoples (pg10). Disappointingly he covers Iron Age pottery in only 4 paragraphs out of a book of 192 pages, a genre of artefact which is the most important source of dating and cultural identity in an archaeologist’s lexicon. However he covers all other aspects of the culture well. James, S. 1999. The Atlantic Celts: Ancient People or Modern Invention? London: British Museum Press. Yet again the word; ‘Celts’ is the most prominent thing on the front cover but this time is, ostensibly, done to deliberately attract people to read it and discover the new thinkings about the subject, furthermore the Battersea Shield, a famous ‘Celtic’ artefact, placed in front of a background picture of Maiden Castle, a well-known ‘Celtic’ site, further enticement. Inside there are a few photographs, diagrams, illustrations and maps, a glossary and suggestions for further reading. In the first chapter he states most emphatically that; ‘the insular Ancient Celts never existed.’ (pg 16) being a completely modern invention. This comment, and the rest of the book, resulted in James being vilified for shockingly new ideas which were presented by some journalists as an outrageous attack on devolution and he was even accused of ‘ethnic cleansing’ and ‘genocide!’ (pg 16). ‘The Daily Telegraph of 12 March 1998 reported that certain archaeologists had ‘angered self-proclaimed Celts from Scotland to Cornwall by their claims that the Celtic culture, much trumpeted during the weeks before devolution referendums in Wales and Scotland, is historical “fantasy”’ (Cunliffe, 2003, 5) referring to Collis’ and James’ papers in Antiquity in 1997 and 1998, both in advance of their subsequent books. What James was trying to say is that we, as archaeologists, cannot continue to look at the British Iron Age people with the preconceived notion that they were ‘insular Celts’, especially as there is no proof they ever invaded in Britain in any significant number, if at all. James states that he was concerned about the veracity of the ‘Celtic’ culture, and so forth, whilst writing Exploring the World of the Celts, speaking to a number of archaeologists, including J.D. Hill and John Collis, and found a anthropological, and controversial (but little known) book by Malcolm Chapman called; The Celts: The construction of a Myth (1992) which; ‘precipitated a profound shift in the way I see the pre-Roman past’ (pg 12). This is a book produced for the general public and schools. Barry Cunliffe is a well known Iron Age expert and, as he says in the Preface, had just finished his Iron Age Communities when he agreed to undertake this book. This work includes lots of illustrations, photographs (B&W and colour), maps, a small glossary, further reading and a list of suggested sites and museums to visit. The book covers; the land, people (their language, race and population), farming, society, internal struggles, religion and their artefacts. Cunliffe attempts to counteract the bias and misunderstandings perpetuated by the writings of Caesar, Tacitus and Strabo, amongst others, pointing out that; ‘The opinions of Caesar and of Tacitus provided the foundations upon which the theories of 19th and 20th commentators were were constructed’ (pg 20) subsequently perpetuating the misconceptions and misinterpretations therein. Additionally, he states that the 1960s theories about how archaeological ‘evidence’ of multiple ‘invasions’ is linked to the introduction of language groups are an example of circularity in argument (pg 20) but he points out that now it is believed the Indo-European language: ‘…was introduced to Britain perhaps as early as the Early Neolithic period and it was from this common base in Britain, and much of Western Europe that the Celtic language developed’ (pg 21), seemingly anticipating Oppenheimer’s published findings seven years later (see below). Carr, G. and Stoddart, S. (eds.) 2002. Celts from Antiquity. Cambridge: Antiquity Publications. A collection of 26 articles from the Journal Antiquity, the earliest from 1929, the latest 1996. The papers are by well-known archaeologists including Kraft, Wheeler, Bersu, Christopher Hawkes, Parker Pearson and Fitzpatrick. There is a ‘debate’ between the Megaws, Collis and James about the ethnicity of ‘Celts/Celtic’ in prehistory and the modern world, which is very entertaining. Some of the articles themselves are infamous, for example; Christopher Hawkes’s The ABC of the British Iron Age (a paper that proposed the chronological sequence of the Iron Age, a scheme that was used by specialists and indeed radiated to interested lay public through a generation) and Kraft’s The origin of the Kelts. The book is split into four sections looking at; Celticity, Continental Europe, The Southern British Iron Age and The Scottish Iron Age. In their introduction Stoddart and Carr clearly voice many contemporary writers’ views that; ‘Too frequently the term ‘Celtic’ is employed as a short-hand for all Iron Age, and even Bronze Age, archaeological evidence in continental Europe, Britain and Ireland, and yet its proper use should be employed as a term of self-identity that is contingent on context’ (pg 5) also pointing out that the modern use of the word is problematic. There are plenty of photographs, illustrations, maps and charts. It is clearly aimed at academia with the language used varying according to when the article was written, some of the more interesting ones being ‘conspectus’ and ‘cradleland’. In total 10 of the 26 articles have no mention of ‘Celts/Celtic’ at all and 2 only use it twice. Collis, J. 2003. The Celts: Origins, Myths & Inventions. Stroud: Tempus. A book in a similar vein to James The Atlantic Celts, in that the word ‘Celts’ is the most prominent feature of the cover to entice an audience in and delivers a similar message. It was, however published four years after Simon James’ book and seems to have escaped the furore that book attracted even though he is, essentially saying the same thing. It contains 11 chapters, multiple maps as well as many photographs and illustrations, along with a bibliography for each chapter. Collis begins the book by asking a number of significant questions that he will be attempting to answer, and finishes with a chapter called Implications in which the results are stated and the consequences, that will have to be faced by archaeologists, historians and the general public, are made clear. He attempts, and in this writers opinion succeeds, in answering his, and James’, critics, principally the Megaws with whom they had been sparring with since 1996, mainly in Antiquity, pointing out that the conflict really began, like most do, with a misunderstanding. Collis uses straightforward language and this results in an easy to read and understandable book which makes clear the new thinking on the ‘Celts’ in Britain, Ireland and Europe. Oppenheimer, S. 2007 (2006). The Origins of the British: The New Prehistory of Britain and Ireland from Ice-Age Hunter Gatherers to the Vikings as revealed by DNA Analysis. London: Robinson. A very long but comprehensive tome in which Stephen Oppenheimer uses: ‘genetics, climatology, geology, archaeology, linguistics, culture and history to reconstruct and explain our roots and differences’ (pg xvii) not just with regard to the ‘Celtic’ question but also including the impact of the Romans, Anglo-Saxons, Vikings and so forth. It contains many photographs, multiple maps and charts and, although full of technical jargon, there is a useful glossary. The packaging seems to have been designed to appeal to the general public as well as scholars. Oppenheimer is a world-recognised expert in the synthesis of DNA studies with archaeological and other evidence to track ancient migrations, he is a member of Green Templeton College, Oxford. Oppenheimer derives some of his archaeological theories from the here mentioned books by Cunliffe, James, Pryor, Collis plus Colin Renfrew’s Archaeology and Language – The Puzzle of Indo-European Origins (1989). His main conclusion, based primarily on his genetic investigations, is that: ‘three quarters of British ancestors arrived long before the first farmers’ (pg 470), so in the early Neolithic, and that ‘Celts’ did exist but did not invade Britain en mass. He disagrees however with the ‘Celto-sceptics’ views that the corruption of the word is the fault of ‘early antiquarian philologists’ (pg 472) and blames the archaeologists themselves for the confusion. Oppenheimer believes that the ‘Celtic’ languages and people (and not many of them) arrived from south-west Europe, in the Neolithic, not Iron Age. It is clear from looking at these books and articles that there has been a huge change in the attitude towards the use, and meaning, of the ‘C’ words in archaeology texts and theories over the past 136 years, but especially in the last 12. Many archaeologists, politicians, Welsh, Scots, Cornish, Irish, journalists and the media are outraged that their beloved ‘Celts’ are being, almost, erased from history and criticised James heavily for the above statement. It is, therefore, not just the word itself that has been censored but the insular ‘Celts’ themselves, only the Celtic languages have survived the cull. Looking at a few examples of texts about ‘Celts’ chronologically it has been possible to follow the changing views. In the late 19th century the word was used in an unequivocal way with no thought as to it’s legitimacy, this was probably because of the influence of Edward Lhuyds book of 1707; Giving some account Additional to what has been hitherto publish’d, of the Languages, Histories, and Customs of the Original Inhabitants of Great Britain. ‘The term ‘Celtic’ had never been applied to inhabitants of the British Isles until the time of Lhuyd …’ he, correctly, worked out that there was a common link between a number of seemingly different languages but he: ‘erred in conflating this linguistic unity with the Roman non-linguistic term ‘Celtae’ (Oppenheimer, 2007, 8) which, unfortunately, proceeded to be repeated ad infinitum until it became, as James states, a factoid. Lhuyds’ misinterpretation or ill-informed extrapolation, therefore, led to nearly three hundred years of incorrect assumptions about various sites, artefacts (especially metalwork), cultures and people. Krafts’ article in Celts in Antiquity (translated by the equally famous Gordon Childes), is a excellent example of how a factoid can lead to a whole field of archaeological study to be considered incontrovertible. His statement that: ‘The forerunners of the Teutons in England, France, western Germany and in parts of Spain and Italy were the Kelts’ (1929, 11) demonstrates the level to which misconceptions and preconceptions influenced the way people viewed ancient history even to the extent that: ‘Where the Keltic raids and invasions impinged upon the domains of classical civilization, we may expect the oldest and most reliable reports about Kelts from the ancient authors’ (pg 11). This statement further shows the reliance and credulity that was placed on ancient writers, such as Hecataeus and Herodotus, for those were the texts that the antiquarians (many of whom were clerics and academics) studied from an early age and continued to be an influence, as can be seen in, for example, Elvère’s and James’ 1993 book. However, it is clear that Kraft acknowledges that the question of ‘Keltic origins’ (he remarks on his ongoing search for the ‘cradle of the Celts’, pg 14) is a problem; for example he notes that a century ago the Bronze Age was considered ‘Keltic’ and ‘Such a mistake reveals the stupendous methodological difficulties that stand in our path’ (pg 11), some archaeological problems are seemingly perpetual. He talks of the ‘Kelts’ as spreading out by war and invasion taking the Hallstatt and La Tène cultures with them, conclusions recently discredited, although there is no doubt that these cultures did influence Iron Age metalwork and ceramic decoration, though this was through trade and immigration. Krafts hunt for the cradle of the ‘Kelts’ appears to have been accomplished by Bersu in the research for his article A Hill-fort in Switzerland, from 1946 in Celts in Antiquity, as he states that it is in Southern Germany and its neighbourhood (pg 57). He uses the phrase; ‘proto-Celtic’ a number of times which apparently refers to the early ‘Celtic’ or Iron Age (specifically in Europe). This idiom is now used to refer only to a language that has been reconstructed from ancient writings and current insular ‘Celtic’ languages. Haselgrove, et al, use another idiom; ‘pan-Celticism’ when talking of votive deposits in their Understanding the British Iron Age, as recently as 2001 (pg 19), indicating that even after over 50 years the C word is still open to manipulation and reinterpretation. Not using the ‘Celtic’ tag in an article of the 20th century could also be significant; for example Wheeler (A Prehistoric Metropolis, 1932 in Celts in Antiquity) does not use the ‘C’ word but prefers ‘pre-Belgic’ and ‘sub-Belgic’. ‘Belgic’ has also been completely discredited by recent archaeological investigations, and is yet another example of a factoid originating with, primarily, Caesars almost throwaway remark in his Gallic Wars V; ‘tribes that migrated at an earlier time from Belgium to seek booty by invasion’ (Caesar translated by Edwards, 1979, 251). This was taken as fact for nearly 2000 years even though it is only one, single remark, with no archaeological proof. Not using ‘Celtic’ or it’s variations could imply a lack of confidence in its authenticity, or may relate to the contemporary archaeological theory prevalent at time. For example; Matthew Johnson points out the changes in archaeological theory in the 1960s and 70s, with the development of ‘New Archaeology’, meaning that cultures began to be viewed in different ways and from divergent angles, with more emphasis on interpreting sites and artefacts instead of just collecting them for display (2010, 15). This led to numerous reinterpretations and reassessments of many previously held ideas and assumptions, with ‘New Archaeologists’ wanting to ‘look at the internal dynamics of a society’ (Johnson, 2010, 23). It may have been this movement that started the questioning of the reality of the ‘Celtic’ society, plus more people undertaking archaeology as a career instead of just a hobby, followed in 1992 by the introduction of PPG16 leading to the discovery of many Iron Age remains that had had no chance of being found before and therefore giving a larger sample from which to glean a clearer picture of our past. In Hawkes seminal work, The A B C of the British Iron Age, the ‘C’ word does not appear until about two-thirds of the way through (pg 139), and then it is used to refer to Hallstatt people from approximately 425 BC and the ‘La Tène civilization [which] was wholly Celtic’ (1959, 139) showing that at the time of writing there was still no doubt as to the legitimacy of the ‘Celtic’ culture. Alcock wrote a fascinating article about Cadbury Castle in 1972 (in Celts in Antiquity) suggesting that in the 5th century AD it was the site of King Arthur’s Camelot (pg 185), he does, however, write a clear and informed paper about the site as being originally constructed in the 7th century BC for ‘Heroic Celtic Warriors’ (pg 179) comparing it to Maiden Castle and Little Woodbury, especially with regard to their design and size of roundhouses. He also claims that it was the ‘Celtic’ invaders that brought the ‘new bronzes and the new pottery’ to this island in the 7th or 6th centuries BC and that they set the ‘tone of life … for the next millennium or more’ (pg 179) implying, like Benfield, that the ‘Celts’ still existed in Britain after the Roman arrived and left. Therefore, it appears that an invasion, be it by ‘Celts’ or ‘Belgae’, was the explanation utilized by early archaeologists to explain a new design of pottery or decoration on metalwork, instead of believing the native population capable of that kind of development, like Roach Smiths opinion that the ‘Celts’ (and by default the natives of Britain to whom he was actually referring) were all mentally deficient. A very recent reference book (Adkins et al, 2008) admits that these invasions have been wholly discounted (pg 95) but still talks about; ‘Celtic inspiration’ in the Roman period (pg 170) and ‘Celtic Britain’ in the Early Medieval Period (pg 203 and 210), showing it may prove to be impossible for the ‘C’ word to ever be abandoned. The Megaws may agree, their opinion is that James and Collis especially have, in effect, committed genocide by declaring that the ‘Celts’ never existed in Britain and are denying the ‘Celtic British Nations’ their rightful heritage and destroying their ethnicity. Their debate began after Timothy Taylor criticised the Megaws book Celtic Art: from its beginnings to the book of Kells (1989) in the Scottish Archaeological Review in 1991, in which he stated that: ‘”Celtic” art is a myth, as is a discrete, unitary, “artistically pure” Celtic race’ (Taylor, 1991, 131, cited in Carr & Stoddart, 2002, 7) firing up the debate. The Megaws answered this critique in the next SAR in 1995 entitled; Paper tigers, tilting at windmills and Celtic Cheshire Cats: a reply to Tim Taylor, by dismissing Taylor as another archaeological rebel adding to the drive to destroy ‘Celticism’ along with ‘a small group of Cambridge scholars’ who are promulgating a: ‘new orthodoxy that there is no such thing as a ‘Celt’ (Megaws, 1995, 248, cited in Carr & Stoddart, 2002, 7) and being motivated by English nationalism and anxiety rooted in the decline of British imperial power and the ‘threat’ of European federalism. (However, as James points it may be that it appears to be a purely English ‘threat’ because approximately 80% of research archaeologists are at Universities in England (1998 in Celts in Antiquity, 2002, 37)). One quite worrying aspect of the Megaws argument in their papers in Celts in Antiquity is that they seem to be equating ‘Celticism’ with Jewishness and the Australian Aborigines – none of which are in anyway connected with each other, in this writers opinion. The heated debate between the Megaws, James and Collis within Antiquity was intense which, in its way, moved the question of the ‘Celts’ forward faster than maybe it would have done otherwise. James and Collis are not the only archaeologists that have ‘come out’ with their new theories, there are others, for example; Champion (1987), Renfrew (1987), Merriman (1987), Hill (1989), Fitzpatrick (1996) and Timothy Darvill, in whose respected Oxford Concise Dictionary of Archaeology he states; ‘there is no archaeological evidence for such a widespread and enduring common culture’ as the ‘Celts’ (2003, 76), and as a University Lecturer it is hoped he passes this information on to his students. Carr and Stoddart, and Hill, further point out that before the late 1980’s nobody questioned theories about the Iron Age because the story of the ‘Celts’ was so accepted as fact, then in 1987 Nick Merriman’s article about the Celtic spirit appeared in which he suggested that the ‘Celts’: ‘ethnographically distinct from other peoples in Classical eyes’ but that the title was one: ‘imposed by outside observers for classification convenience’ (cited in Carr & Stoddart, 2002, 7). The Megaws blame him for igniting the debate but cite Collis as being the ‘prime mover’ after his report in British Archaeological News in 1994. James does state quite emphatically at the beginning of his notorious book of 1999 that; ‘For some decades, the pace of change has been gathering speed, culminating in a radical reformulation of ideas about history’ (pg 9) especially cultures and ethnicity, both ancient and modern, and this has culminated in the explosion of, mostly, unpopular and infamous papers, articles and books demolishing the lovingly held beliefs of millions of people regarding their ethnicity. However, changes in our ideas of the past always have to be open to questioning, especially with new technologies, laws, finds, sites and theories being developed by new archaeologists (and scientists, geneticists, anthropologists and so forth), as well as the ‘old brigade’. Furthermore, the changing perspectives of the ‘Celts’ should encourage a review of the way other cultures have been interpreted in the past, and will be in the future, through using, as Oppenheimer did, not just DNA testing or archaeology or ethnography or linguistics and so forth but a combination of all avenues of investigation, along with vigorous testing and scrutinisation. Francis Pryor, a well known face in the media (especially Time Team) has written two books in the past 6 years, both concurring with James and Collis et al. In the first book (Britain B.C., 2004) Pryor states that his generation was taught at university about the hypothetical invasions of the ‘Celts’, with them being responsible for the new styles of pottery, however the digs he attend have shown that: ‘these so-called invaders’ lived together in the same settlements alongside the people they were meant to have replaced (pg 118). In his 2010 book (The Making of the British Landscape) he emphasises, and strengthens, what was said in the previous tome, with comments such as: ‘There is no evidence that the Celts can be equated with a distinctive ethnicity’ and that ‘Celts’ are a pure invention by antiquarians, artists, scholars and writers of the 18th and 19th centuries, so back to Lhuyds long-running factoid (pg 120). It would, therefore, be hoped that, Pryor, being a relatively ‘high-profile’ and well-respected archaeologist, may deliver the news that the ‘Celts’ maybe never existed, to the public, without the cries of ‘murderer’ that James had to endure. Neil Oliver has managed to sneak in a comment or two about the new thinking in his A History of Celtic Britain television programme despite the misleading title (possibly used, like James’ and Collis’ books, to attract an audience in a way that ‘A History of Iron Age Britain‘ may not have done) but did not overly emphasis the information and continued to use ‘Celts’ and ‘Celtic’ throughout the series. The ‘Celtic’ word will, hopefully, no longer be used by many archaeologists to refer to the Iron Age but will properly be utilised by everyone to pertain to the language, as there has been no dispute about that. However, it will also continue to be used by the general public, many academics, the media, politicians and so on, for all aspects of the ‘Celtic’ culture (people, art, sites, religion, ethnicity) for the foreseeable future because they want to believe nothing has changed and they are still blind to the proof. Unfortunately, for them, archaeology is not a static subject and most archaeologists are not purblind any more, as Fitzpatrick points out: ‘the ancient evidence remains to be explained rather than explained away’ (1996, 246). Bersu, G. 1946. A Hill-fort in Switzerland in Antiquity 20 (77). Collis, J. 1997. Celtic Myths in Antiquity 71 (271). Hawkes, C. 1959. The A B C of the British Iron Age in Antiquity 33 (131). James, S. 1998. Celts, politics and motivation in archaeology in Antiquity 72 (275). Kraft, G. 1929. The Origin of the Kelts in Antiquity 3 (9). Krämer, W. 1960. The oppidum of Manching in Antiquity 34 (135). Megaw, J.V.S. & M.R. Megaw. 1996. Ancient Celts and Modern Ethnicity in Antiquity 70 (267). Megaw, J.V.S. & M.R. Megaw. 1998. ‘The mechanism of (Celtic) dreams?’ a partial response to our critics in Antiquity 72 (276). Champion, T. 1987. 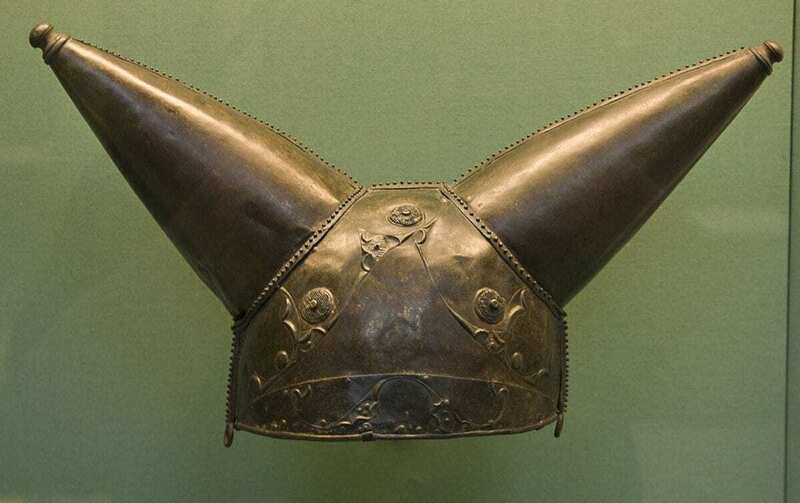 The European Iron Age: assessing the state of the art. Scottish Archaeological Review 4 (2), 98 – 107. Cited in Carr, G. & Stoddart, S. (eds.) 2002. Celts from Antiquity. Cambridge: Antiquity Publications. Fitzpatrick, A. 1996. ‘Celtic’ Iron Age Europe, in Graves-Brown, P., S. Jones & C. Gamble, Cultural identity and archaeology: the construction of European communities. London: Routledge. Pp 238 – 55. Cited in Carr, G. & Stoddart, S. (eds.) 2002. Celts from Antiquity. Cambridge: Antiquity Publications. Histories, and Customs of the Original Inhabitants of Great Britain. Oxford. cited in Oppenheimer, S. 2007 (2006). The Origins of the British: The New Prehistory of Britain and Ireland from Ice-Age Hunter Gatherers to the Vikings as revealed by DNA Analysis. London: Robinson. Hudson. Cited in Carr, G. & Stoddart, S. (eds.) 2002. Celts from Antiquity. Cambridge: Antiquity Publications. Archaeology of Contextual Meanings. Cambridge University Press, pp.111-116. Cited in Carr, G. & Stoddart, S. (eds.) 2002. Celts from Antiquity. Cambridge: Antiquity Publications. Pryor, F. 2010. The Making of the British Landscape: How we have transformed the land, from Prehistory to Today. London: Penguin. Renfrew, A.C. 1987. Archaeology and language, The puzzle of Indo-European origins. London: Cape. Cited in Carr, G. & Stoddart, S. (eds.) 2002. Celts from Antiquity. Cambridge: Antiquity Publications. Taylor, T. 1991. Celtic Art, Scottish Archaeological Review 8: 129 -32. cited in Carr, G. & Stoddart, S. (eds.) 2002. Celts from Antiquity. Cambridge: Antiquity Publications. Various Authors, latest date 1892. KAS, Celtic, Roman and Saxon Kent. Archaeologia Cantiana.